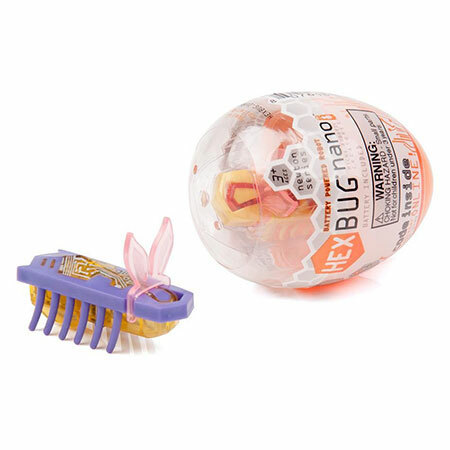 Available via a limited release for Easter only are these adorable HEXBUG Nano Easter Eggs. They come in an egg and hvae the addition of bunny ears on the HEXBUG Nano. Fatbrain Toys currently has the Eggs with Bunny HEXBUG on sale for $6.95. A great price considering it’s usually around $10 for one. Rumor has it, these HEXBUG bunnies will also be available at RadioShack.com both in-store and online come April 1st for $4.95 so if you’re willing to wait, be sure to check back at Radio Shack come April.